Little Tokyo Historical Society’s new 2014 calendar, “Little Tokyo: Celebrating Then and Now,” is now on sale for $10, which includes sales tax. This is the fourth consecutive year of publishing a keepsake calendar with vintage Little Tokyo-related photos held in the LTHS archives. 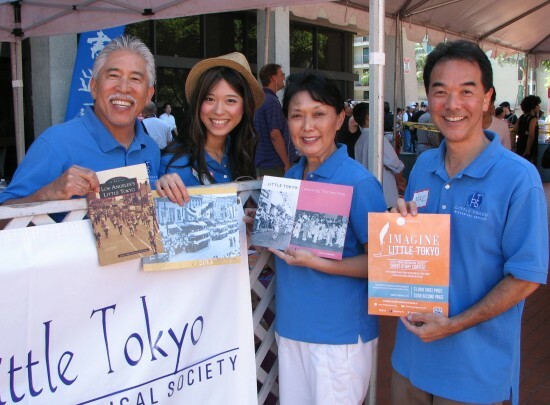 The calendar project is LTHS’ yearly fundraiser, which allows the nonprofit, all-volunteer organization to pursue its mission of researching and discovering the historical resources, stories, and connections of sites, buildings, and events related to Little Tokyo as an ethnic heritage neighborhood. Besides being a practical calendar, it also makes a unique gift for the upcoming holidays and a way for these photos to be shared with the public. The calendar can be purchased online at www.littletokyohs.org. It is also on sale at the following locations in Little Tokyo: Japanese American National Museum store, 100 N. Central Ave.; Bunka-do gift shop, 340 E. First St.; Little Tokyo Service Center front desk, 231 E. Third St.; and Little Tokyo Visitors Center/Koban, 307 E. First St.